We’ve moved into that wonderful period where you can sniff the air and get the aroma of a baseball tingling those nostrils. Spring Training is commencing, which will soon turn into actual games, followed by Twitter clamouring for the meaningful games to begin and bemoaning how long Spring Training lasts. This year we’re treated to an earlier than normal start to the regular season when he Oakland Athletics “host” the Seattle Mariners in Tokyo on March 20th. All this can only mean one thing; fantasy draft season is kicking into top gear. We already have a pretty good idea of draft trends with NFBC having now completed 160+ total live drafts and there are some interesting results already. 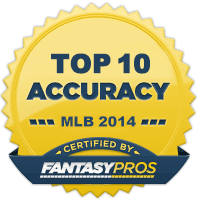 So, what we’re going to do here is begin with the first of a series of pieces which look at players’ NFBC Average Draft Position (ADP) and their Steamer projections, then identify where players are projected for similar seasons yet appear miles apart in drafts. Today we’ll look at part one of two in the outfielder department, with pairs of teammates who have very distinct gaps in their ADPs, yet according to their Steamer projections, aren’t actually that different. And we’ll commence with the Detroit Tigers’ duo Nicholas Castellanos and Christin Stewart. The above are their Steamer projections heading into Spring. The clear significant difference is the total number of games played, with Castellanos predicted to play an extra 35 games and tally 168 more plate appearances. You may question the playing times here a bit as Castellanos has played 157 games in back-to-back seasons, averaging 671 plate appearances. But even then, he only hit 26 and 23 homers respectively, so the 24 home-run projection seems fair. Christin Stewart on the other hand has only played 17 MLB games after debuting late last year. If he starts the season well and mirrors his projected numbers early in the season, he’s a very strong candidate to play 140+ games with health. And it’s not like the Tigers are flush with better alternatives so he should get a fair crack of the whip. As his HR/G rate is higher than Castellanos’, he could easily hit more than his more experienced teammate given similar game time. Although the batting averages also offer disparity, Stewart has a reputation of taking walks in his Minor League career and even in those 17 MLB games last year he posted a.375 OBP with a .267 AVG. In leagues which count OBP and/or walks, Stewart becomes even more useful. The other variable is their position in the lineup. Castellanos will likely hit third or fourth while Stewart’s spot is up in the air. Due to his ability to take a walk, it’s very possible Stewart sees time hitting second which will obviously bump up those runs scored too. Castellanos has a very nice floor having shown durability and consistency during his time in. While Castellanos clearly has a higher floor (in fact, one of the highest floors you could hope for), he’d need to take a big step forward to outperform his ADP. And 25 homer guys are no longer anything special. 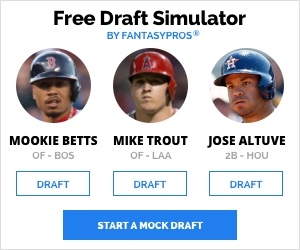 Hitting atop the order will help him with runs and RBIs and his batting average will be better than other 25 homer guys you’ll find later in drafts. Of which, Christin Stewart could easily be one. Looking at the two players, there wouldn’t need to be much deviation from the projections for Stewart to match Castellanos in the home run department and even with runs and RBIs if he does find himself hitting second. It’s only the batting average which is a significant difference as neither will run much. And does a .030 increase in batting average with an extra 10 runs/RBIs justify someone being an 8th rounder over an undrafted guy? I’d so no and even more so in OBP leagues. 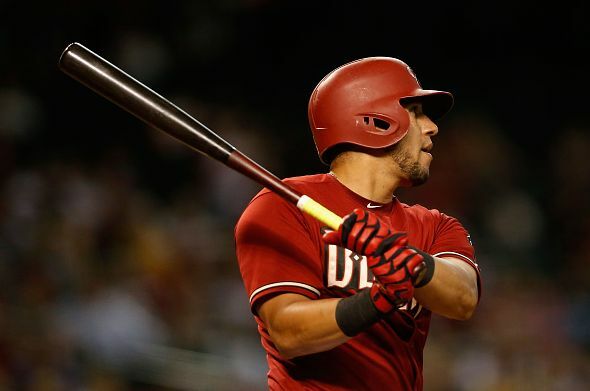 Next pairing sees us shifting from the AL Central all the way to the NL West and into the desert with the Arizona Diamondbacks pair of David Peralta and Steven Souza Jr.
Again, the above are each players’ Steamer projections going into Spring Training and where they are being drafted in NFBC games. And once more, we have a large disparity with Peralta currently going over 200 spots before Souza Jr. Like the Castellanos and Stewart comparison, batting average is the most noticeable difference between these two. Which is a good starting point. Peralta is a career .293 hitter (which is actually what he’s hit the last two years as well), while Souza Jr is .233 hitter and has never hit more than .247. Peralta’s career low is .251 which is a pretty good indication of what we’re dealing with here. Peralta’s projected batting average is 0.042 higher than Souza Jr’s and even that might be a bit stingy. But like with the Tigers’ pair, their OBP numbers don’t have nearly that big of a gap so in leagues valuing walks, the difference is even less. Peralta’s 30 home run season in 2018 came out of the blue having never even reached 20 in a year, similarly how Souza’s 30 home run season in 2017 came out of nowhere. Souza’s health has been holding him back as much as anything and after missing 11 weeks last year, it’s difficult to expect him to suddenly play 150 games. Across an even number of plate appearances, Souza Jr would project to match or better Peralta in all the counting stats, falling short only in the batting average department. With Goldschmidt and Pollock now gone, these two will have to shoulder a large portion of the void left and they should both be hitting in the top half of the order, so runs and RBIs so be there for both. Like the other duo, I’m expecting Souza Jr to outperform Peralta, but by the end of the season, will there be a value differential of 200+ spots? If their projections are anywhere close to the reality, just like before, I’d bet on the no. Part two will feature outfield pairings from two American League Teams; another from the Central and one from the East so stay tuned for that.